Today’s homes not only include energy-efficient features and eco-friendly materials, but many also include multi-generational living environments. These popular home plans provide living areas with essential spaces, interior features, privacy considerations, and universal design to help address the needs of your aging family members and those with physical disabilities. You might be looking for a Certified Aging-In-Place Specialist near you to help with your remodeling project. You’re in luck, we’ve done the CAPS homework, have several projects to show for it, and you can move forward with confidence. For Safety, Ease, and Peace of Mind: Our CAPS remodelers (certified aging in place specialist) is trained to design, plan, and execute a project with the specific challenges that come with housing aging loved-ones, and ADA compliant requirements. House plans designed for multiple generations are a great solution when you have elderly parents who need care and companionship. They provide a great way to keep family together, while emphasizing security, economic, and privacy concerns for everyone in the household. Learn more about the shift toward embracing these new features and determine how you can incorporate universal design ideas into your space. Let our Certified Aging in Place Specialists help you. From aging parents with medical concerns and disabilities, to financial situations where saving money is a priority, there are many reasons that family members may choose to combine households. Over the last decade, there’s been a rising demand for homes with multi-generational living quarters. More families are finding the value in sharing a space and builders are meeting the need in new and unique ways. Home builders and remodelers with a Certified Aging in Place Specialist (CAPS certifications) are building and renovating homes with functional and luxurious in-law suites that offer private entrances and spacious living areas including private bedrooms and bathrooms, well-equipped kitchens, and in-suite laundry rooms. To keep household energy costs down, in-law suites are equipped with energy-efficient heating and cooling systems, lighting systems, and appliances. Many of these spaces even have separate temperature controls and separate garages that provide complete privacy and security. These features allow families to be close enough to share in daily interactions and address any potential medical concerns, while also giving each family member autonomy to live an independent life. Read more about this in our article about multi-generational living. Working with s Certified Aging in Place Specialist can give seniors the option of staying where they choose while maintaining their quality of life. It allows those who are aging to do so in an environment that they’re comfortable and familiar with. As senior citizens age, they’ll most likely experience changes that make day to day life more challenging, including some of the following conditions. When health issues get in the way of daily activities, a common solution is moving from independent living to assisted living. A Certified Aging in Place Specialist might be able to offer other options. The shift in modern lifestyles involves families coming together to care for one another and navigate the changing needs of each family member. Because of this shift in lifestyle choices, it has become important for trends in architecture and design to shift as well. Meeting the need for inter-generational living arrangements requires rethinking traditional floor plans, taking medical needs into consideration, and being thoughtful about working with a variety of personal style preferences within one family. Choose a home remodeler that has the Certified Aging in Place Specialist on staff to help you get exactly what your family needs. DFW Improved has a Certified Aging-In-Place Specialist for your home remodeling projects to accommodate multi-generational households. The National Association of Home Builders Certified Aging-in-Place Specialist (CAPS) designation program teaches technical best-practices essential to the fastest growing segment of the residential remodeling industry: home modifications for the aging-in-place. The CAPS designation offers you reassurance that design, planning, construction, and finish-out decisions of your remodel project are designed to help you or your loved ones stay in your home safely and securely. Universal Design is another term used by architects and designers to describe spaces that meet the needs of everyone, including persons with disabilities. In multi-generational housing, that means taking each individual’s comfort, privacy, and safety into consideration. The following design features focus on each of those concerns. When designing spaces for multiple family generations, it’s important to consider open access for all of the family members. Without a separated in-law suite, the house needs to be functional for everyone’s needs and requirements. Open access floor plans include the needs of everyone, from the youngest to the oldest members of the family. If there are young children in the house, kitchen and bathroom areas should be baby proofed with locking cabinets and outlet covers for safety. With elderly parents or grandparents in the house, slip-resistant floors will help to prevent falls, while wider doorways will accommodate walkers and wheelchairs. It’s important to make sure everyone in the household can move about freely and safely. A second master suite with its own bathroom and safety features will provide a better living environment. This allows the older generation to have easier access and more privacy, particularly if the youngest members of the residence are on a different schedule. It also gives older parents or grandparents the opportunity to feel like they have their own space, even in a shared household. If you have the space available within your home, it might be possible to renovate without building a room addition. Some homeowners are able to re-purpose an existing space, such as an unused formal living room, to create a second master suite. If you have a two-story home, it’s important to locate elderly family members on the first floor to prevent stairway falls and injuries. If you’re thinking about building a separate in-law suite, there are some things you may need to consider. Although most in-law suites are attached to the main house, they function as separate living quarters with their own private spaces. Since they are considered an addition to the house, there are rules and regulations that will apply. DFW Improved will check your local planning regulations and requirements before getting started. When choosing to build a separate space for your new residents, it’s a great opportunity to add design features to help make their lives easier and more comfortable. Adding safety features can give everyone peace of mind. Consider the following when planning and designing the space with our Certified Aging in Place Specialist (CAPS remodeler). When multiple age groups share the same living space, it’s essential to create opportunities for privacy. In addition to creating multiple master suites, creating versatile living areas with the right amenities allows multiple age groups to function more easily. In shared family rooms, you can designate individual spaces by using certain furnishings and built-in areas. 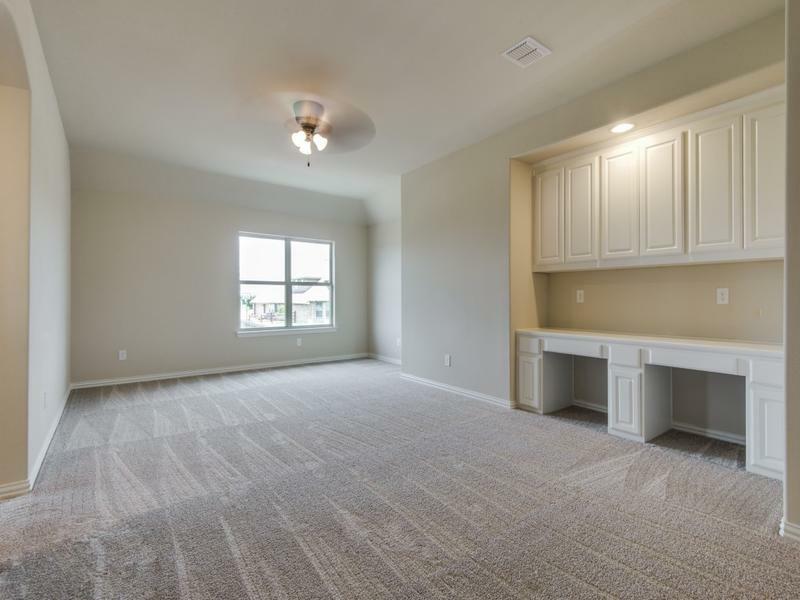 For the kids, you can section off an area for activities with a toy cabinet, small table and chairs, and an activity center for videos and games. For the adults, create a comfortable area for conversations and movies. For elderly family members, create a cozy corner by the fireplace that’s perfect for relaxing and reading. For privacy and safety in multi-generational households, it’s important to create comfortable zoned areas in shared living spaces. Multi-generational living arrangements provide a good way to reduce household expenses and keep families closer together. 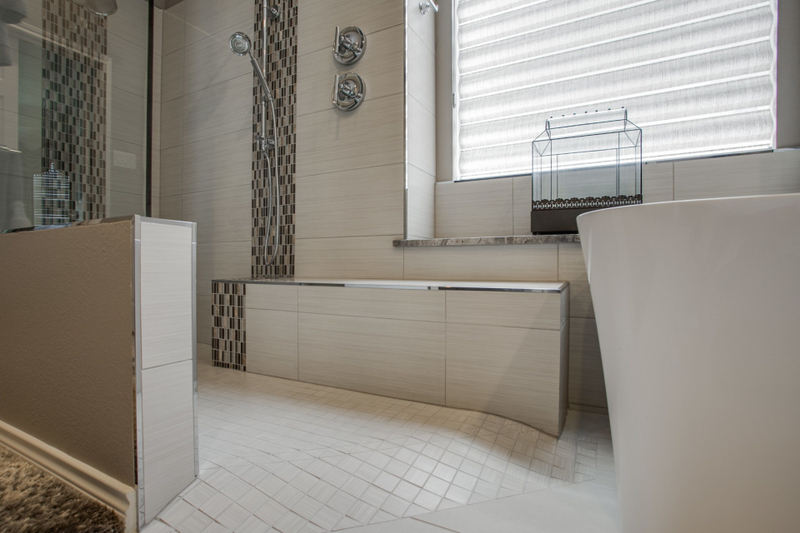 Creating a space with universal design allows everyone to be independent while maintaining a support network within the home, but you will likely want a Certified Aging in Place Specialist to help you achieve great results.